I've just finished this months tutorial and will be emailing it out this later today. This months tutorial is step by step instructions to make a gratitude journal. I love these. Even when you think you are having a bad day you can remind yourself of all the good in your life. To receive the tutorials, just register top right. 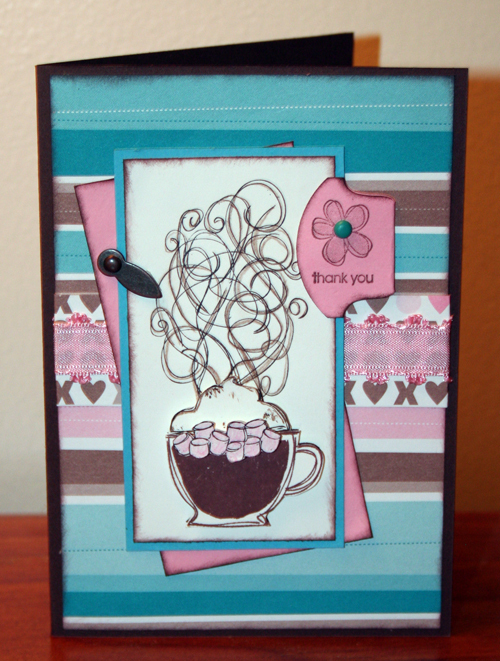 Made these cards last night using some of the sets from the new Stampin' Up! Summer Mini catalogue which starts selling tomorrow. If you are a regular customer or you responded to the last 'who wants one?' call they are in the mail. Otherwise email me and I will send you one for free. It's yummy! This card features the Carte Postale set, as well as an old favourite Petal Prints. These new Enchante double sided designer series papers are really pretty. Soft and feminine with lovely plums and greens. 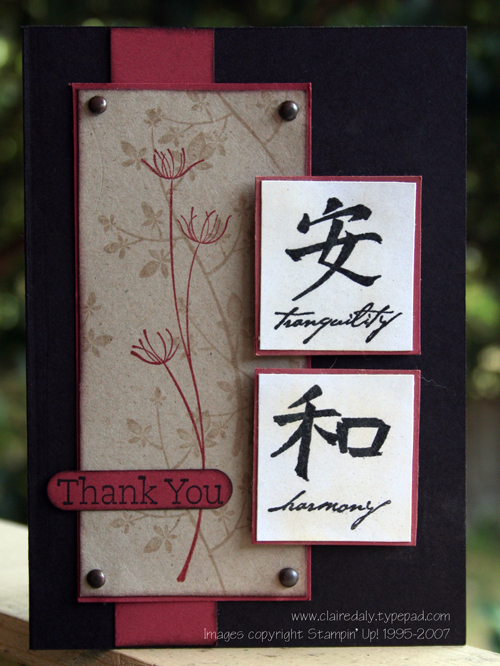 This one is a bit of a contrast to the last, and again is a mix of a new stamp set Silhouette Stems (used on the kraft cardstock) with Kanji from the main catalogue. The silhouette stems looked very Asian to me so I thought would work well with Kanji. 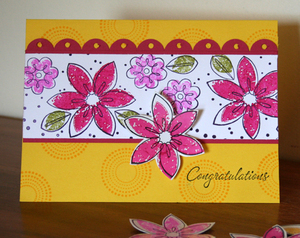 I have used Cranberry Crisp as the red cardstock. I love these colours together. 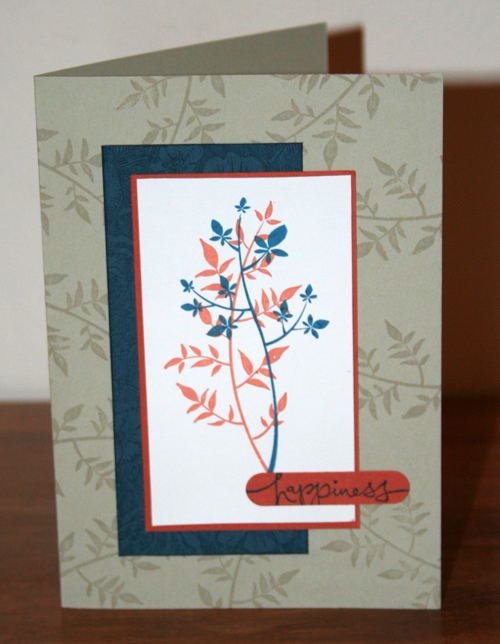 I must say I love Stampin' Up! 's punches! 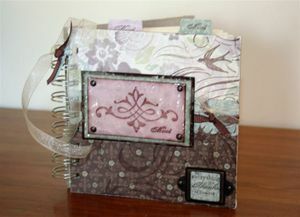 They generally design the sentiments so that they fit inside their pumches, which makes life VERY easy for cardmakers. 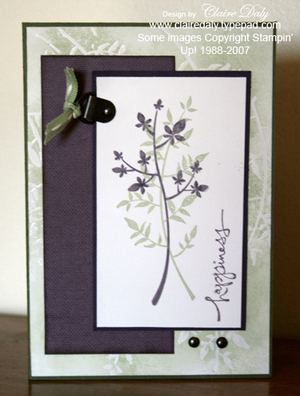 In the card above I have used the samll oval punch (which also fits perfectly in the oval label holders) and this card used the word window (which is what I also used in the card above to make the tab top left on the image. Stampin Up! Spring Mini ends on Friday, so if you want to get your hands on any of the gorgeous sets in this mini catalogue, there's still time (JUST). Email me by midday Friday and I will be able to order for you. I have used two of the sets here. 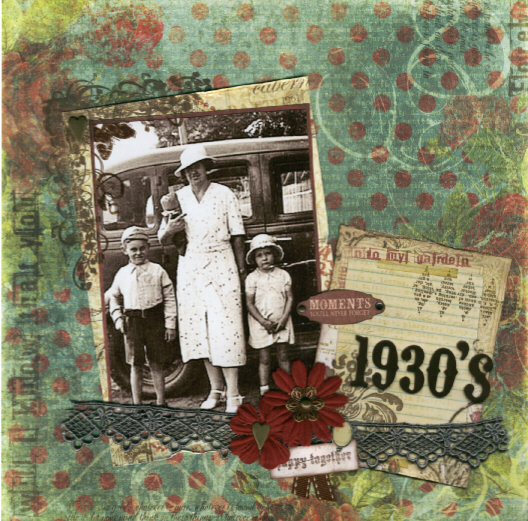 I set a social challenge on one of our demonstrators forums to use 'something old, something new, something borrowed, something blue' and this is what I came up with. This is the Like it a Latte set, which is very cute I think. Makes me feel all warm and fuzzy. I also used one of the Taggers Dozen set on the tab. This set is awesome. You get 12 stamps for $33.95 and they all fit on the rounded tab punch. They have a variety of sentiments for every occasion. 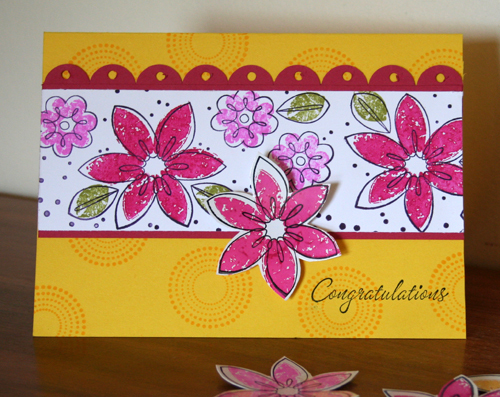 The patterned papers are from the new Summer Mini catalogue which starts on Saturday. They are called 'Loves Me' and of course have a matching stamp set and the most gorgeous matching ribbons (including an amazing teal velvet - yummmm). So my something old was the sets from the Spring Mini, something new was the patterned paper, something borrowed was the image that was stamped for me by my lovely friend Carol (you must check out Carol's awesome tutorial for the German Christmas ornaments), and my something blue is the brad. I did 4 layouts, which given all the giggling, gossiping and fossicking around on the floor looking for everything Raylene lost, was an awesome effort. These first two are heritage layouts. 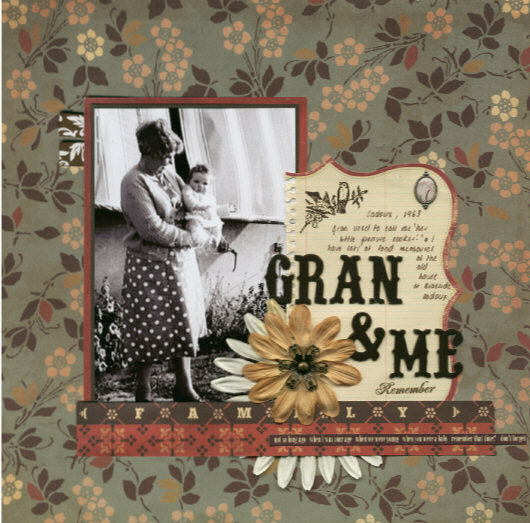 I have lots of wonderful old photos to scrap like these. Love my vintage stuff too. This one is recording something that is 'very Josh', his love of keys! He has more keys than I will ever own, and was particularly excited when the lovely Pam gave him a very real ambulance key which flicks open and everything (along with teddy which is affectionately known as the 'Pam the Paramedic', and a paramedics cap . That key has been paraded out on so many occasions and even made it to show and tell at kinder recently when they had to take something about emergency vehicles. This was is pretty self explanatory - Sam's second birthday. He'd had a trip to emergency the night before to glue his forehead together courtesy of a bump on the bed rail :( Excuse the dodgy pic here (and the even dodgier carpet). 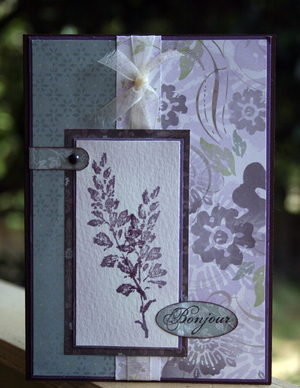 Here's another sneak peek from the Stampin' Up! Summer mini catalogue. These papers and stamps were screaming out for me to do a heritage page, and this picture of my Grandmother on holiday in Scotland when she was 19 was perfect (OK, so maybe if she had been visiting France it would have fit better, lol). That's my Gran on the left. I can't believe how well they dressed on holidays. My Gran was always so well dressed though - very stylish right into old age. This layout features the Enchante Designer Series Papers with the Carte Postale stamps and this time I have also added the gorgeous new French Flair background for the birds and swirls lovers! 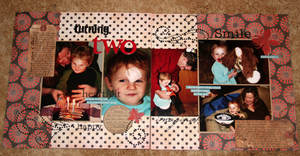 It's difficult to see but I have actually embossed the background I have used in the top left and bottom right corner. 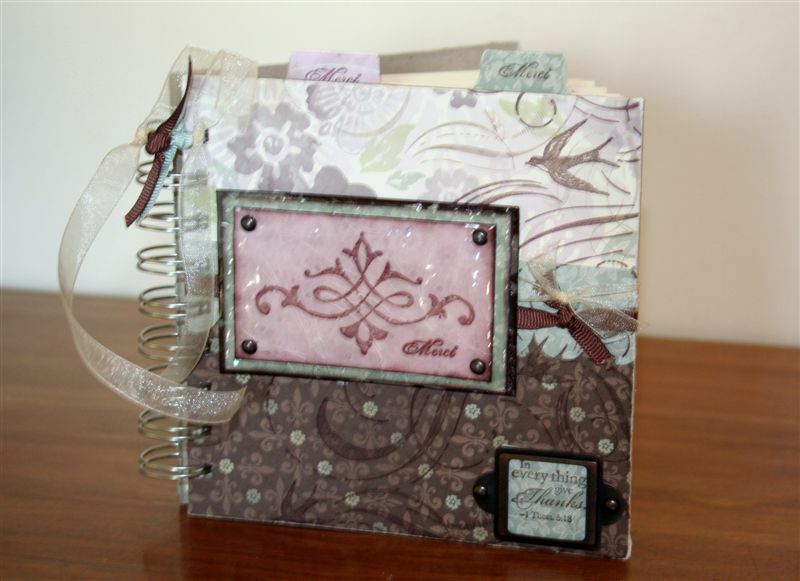 I used my 'aged copper' embossing powder which is basically just about 2/3 Stampin' Up! copper embossing powder and 1/3 black. Works a treat and matches the aged hodgepodge quite well! I also stamped some of the script font words onto twill for a matching ribbon. 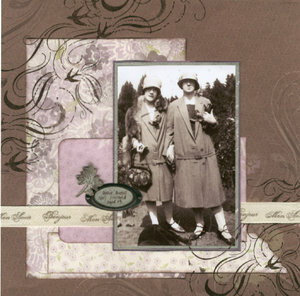 Off to scrapbook with some lovely friends tomorrow til midnight. 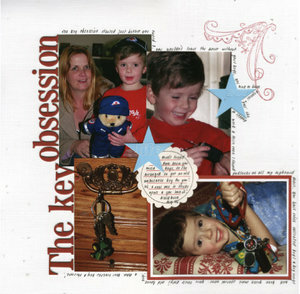 Not sure how much scrapbooking will get done, but lots of fun will be had. Hope your weekends is great too. Lots more to come so watch this space!